Strategic planning, non-profit management, growth of the association, development of the Board and staff. Stephanie Haffner drew inspiration to attend law school from her undergraduate studies in Government and Afro-American studies, followed by what’s been affectionately dubbed a “masters” in community-based legal practice with the Concerned Citizens of Tillery, North Carolina. There, she frequently communicated with lawyers supporting environmental justice and land preservation work, including legal protections to secure historically Black land ownership. A graduate of UC Berkeley Law School, Stephanie began her formal legal career at California Rural Legal Assistance in Stockton, where she chaired its statewide public benefits task force and served as lead counsel in Price v. City of Stockton, a housing and redevelopment case that secured replacement housing and relocation benefits for hundreds of residents of downtown Stockton hotels. 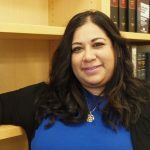 Stephanie supervised the Housing/Consumer Advocacy Group at Neighborhood Legal Services of Los Angeles County, then joined Western Center on Law & Poverty as a Senior Litigator, helped reopen its Bay Area office, and eventually served as a Director of Litigation. Stephanie is a life-long student of Spanish, having been raised in New Mexico, and worked with clients bilingually throughout her career. “As a resident of Marin County for nearly 18 years, I am excited to help serve the community where I live with these vital legal programs for our clients." David Levin brings a wealth of experience to LAM, having worked as a housing attorney for more than ten years at Bay Area Legal in Richmond, where he also directed a HUD-financed regional fair housing program. 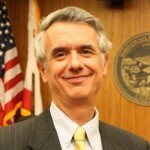 Throughout his career, Levin has represented hundreds of indigent clients in housing cases that were litigated in both state and federal court, and presented trainings for the California State Bar and National Housing Law Project. 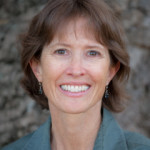 Laurie Joyce joined Legal Aid of Marin on May 1, 2013. She is a graduate of the University of Notre Dame School of Law and King’s College. She brings extensive experience from previous positions at Morrison & Foerster and the Catholic Legal Immigration Network. Prior to being hired at Legal Aid of Marin, Laurie volunteered as an intake interviewer and assisted on employment, consumer, housing and family law cases. Laurie helps Legal Aid of Marin connect with private attorneys to assist our clients. She coordinates both the Pro Bono attorney and non-attorney volunteer programs. Catherine Vega is a Bay Area native and a committed advocate for underrepresented groups. 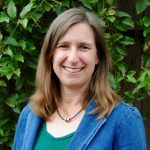 At Legal Aid of Marin, she assists low-income clients both in landlord-tenant and employment law matters, including wage and hour, discrimination, and sexual harassment cases. She helps workers in Marin recover their wages, advocates on behalf of tenants facing eviction, and educates the community about workers’ rights. "I am excited to have the opportunity to continue working with people in my community and provide guidance and assistance in finding resolutions to legal matters." 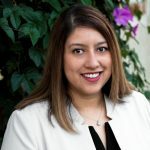 Rocio Espinoza joined Legal Aid of Marin in the fall 2015, and she provides legal assistance and client interpretation for Legal Aid’s staff attorneys in a variety of practice areas including, employment, housing, and family law. She graduated from Sonoma State with a bachelor’s degree in Psychology and a minor in Business Administration. Currently, she has continued her education at SFSU and expects to complete her paralegal program in the spring 2019. "The best part of my job is knowing that I am making a difference for my community." 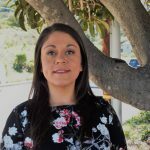 Vivian Alatorre joined Legal Aid of Marin as a receptionist in 2017, and now serves as office manager. Vivian is responsible for making sure all of our office systems are running to support our services, including our client database, donor database, computer systems, and more. San Rafael native Tomas Avina organizes and coordinates the Marin Community Court, now in its eighth successful year, helping over 200 people each year get needed relief from burdensome fines. Tomas assists Laurie Joyce in coordinating the Marin Pro Bono Network. Yareli Banda manages the front desk reception for LAM, assisting staff and pro bono attorneys in coordinating appointments for upwards of 1,000 client households each year.